ForexNewsNow – Popular forex and CFD broker International Capital Markets Pty Ltd (IC Markets) has joined forces with the company Tradeo in order to provide a new social trading network and platform. The partnership of the two companies allows traders to connect with each other and share their success. The Tradeo Network is known for its advanced Cloud Trader functionality. This allows traders to follow automatically follow other traders and execute the actions taken by them. Traders will have the possibility to follow the best and most successful traders in the business and set their accounts so that they authentically mirror the decisions taken by these people. But the Tradeo Network goes one step further and apart from allowing trader accounts to automatically mirror the trades of successful traders, it also allows traders to share information with each other. Traders will have the possibility to share their actions takes and give feedback and advice to each other. This is especially useful for new traders who are looking for advice from experienced professionals in the business. The best way to connect with other traders is through live chat. This is especially useful if traders would like to discuss issues that are happening at the very moment and require prompt action. If an experienced trader, for example, discovers a great opportunity, he or she may share it immediately to his or her group of friends so they could also profit from the event. Traders will also have the possibility to broadcast live signals to their aquantances in order to allow them to take prompt action in case a profitable opportunity arises. Additionally, traders are also able to create polls in order to survey other traders’ opinion regarding a certain subject. The Tradeo Network will be powered by the services offered by IC Markets, such as its MetaTrader 4 platform, 60 currency pairs, 17 indices, 400:1 leverage, web-based trading, micro-lot trading and a large variety of others. Tradeo is an emerging social trading service provider launched in April 2012. The venture was first known as a portal that allowed traders to share information and experience with each other. The company also provides trading analytics to traders in order to allow them to take better decisions. The company’s first main product was the Cloud Trader that allows traders to automatically follow and mirror the trades executed by their friends. The Cloud Trader also allows traders to manually execute trades in their MetaTrader 4 accounts. 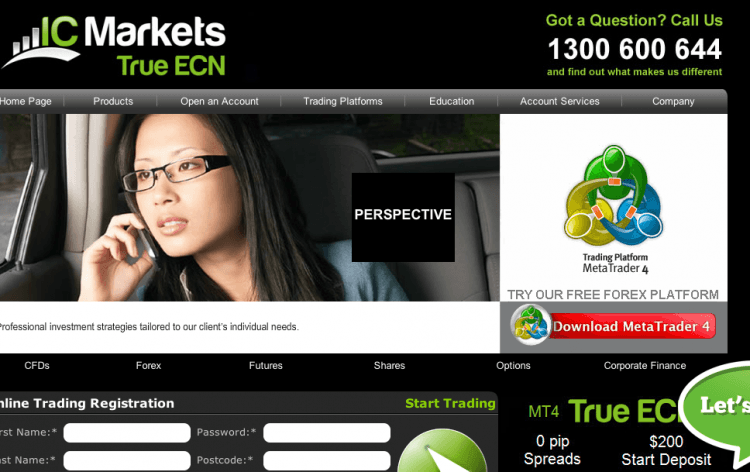 IC Markets is a forex, CDF, futures and binary options broker based in Australia which was founded in 2007. The broker offers a large selection of assets in these categories that include more than 6,000 CDFs, 20 indices and 20 currency pairs. The services offered by the broker are available on a large selection of trading platforms such as ProDeal, MetaTrader 4, MetaTrader 5, eToro and webIRESS. It’s also one the brokers that offer a lot of educational material to new traders. The large selection of guides and glossaries explain all aspects of the online trading business to beginners and newcomers. The broker also offers some advanced strategy guides that are recommended even to some of the more experienced traders in the business.